Muslims’ sense of belonging could be eroded by European nations not tackling discrimination, a watchdog has warned. A report by a European Union-backed anti-racism body says the number of Islamophobic incidents in the 25 member states is probably under-reported. Jewish people are four times more likely to be attacked because of their religion than Muslims, according to figures compiled by the police. One in 400 Jews compared to one in 1,700 Muslims are likely to be victims of “faith hate” attacks every year. The figure is based on data collected over three months in police areas accounting for half the Muslim and Jewish populations of England and Wales. The crimes range from assault and verbal abuse to criminal damage at places of worship. In support of the Danish position, newspapers in France, Germany, Italy, the Netherlands, Spain and Switzerland reprinted some of the cartoons on Wednesday. A small Norwegian evangelical magazine, Magazinet, also published the cartoons last month. Wouldn’t want to challenge anyone’s intimate beliefs. As a person of faith myself, I’ll admit to being a little bit steamed whenever some taxpayer supported “artist” stretches the boundaries by putting a crucifix in a bowl of urine, or paints the Virgin Mary with cow dung. But my general point is that tax dollars shouldn’t be used to support offensiveness in the name of “art,” not that the artists themselves ought to be burned at the stake, or whatever. And if I raise my voice (or write a letter) on that issue and the sense of the elected representatives is that I’m in the wrong of it, well I’ll go along my merry way, continue to pay my taxes while working for their defeat. Because the answer to bad speech is always more speech. That’s the way of the West, anyway. Far be it from me to pass out bloggo-tips, but I do think it’s important for the average blogger to differentiate his brand. We can’t all be closely reasoned conservatives and libertarians on the one hand, and foam-at-the-mouth, tinfoil hat wearing conspiracy theorists on the other – it’s a buyers market, and it’s difficult for new folks to set up shop. So it’s important to specialize: As I may have mentioned before, anyone searching for stultifyingly obtuse political opinions interspersed with the occasional sea story told by a super-annuated naval officer who once flew FA-18’s, but now commutes by motorcycle up and down the 5 in sunny southern California has very few choices apart from the digs of your humble scribe. And yet, enabled as I have been by the magic of technorati, I can’t help wondering if certain people are casting rather too narrow a net. Here’s a blog that links to my post, “Always a bridesmaid.” Which really had very little to do with bridesmaids. Unlike the blog, which is about bridesmaids, apparently. And here’s another that links to my post in re: Geo. Washington, and his famous spectacles. It’s about eyeglasses. I believe that the wave might have passed – it may well be time to catch another. In a quarter century of naval service I’ve never known anyone who was court martialed. Never have I been called to serve on one. In command, I never felt the need to convene a court martial, although such was in my power – all the sundry offenses brought before me were in the nature of military-style misdemeanors, and courts martial are generally reserved for very grievous offenses, felony equivalents that for whatever reason were not referred to civilian jurisdiction. We do not do courts martial so very often in the US military. Which might be a mistake. But I’m frankly not at all surprised at the crucifixion court martial of LT Bryan Black, who found it somehow necessary to not only tell a female midshipman that battleships made him feel a little funny in the drawers, but also attribute a different potential reaction to herself. She took offense, he apologized, end of story. Except that it wasn’t. Someone else took offense too, another officer who worked with Black. Was there bad blood between them? Who can tell. Did he, through “conduct unbecoming an officer” open himself up to whatever else followed? Most certainly. To develop midshipmen morally, mentally and physically and to imbue them with the highest ideals of duty, honor and loyalty in order to provide graduates who are dedicated to a career of naval service and have potential for future development in mind and character to assume the highest responsibilities of command, citizenship and government. Don’t see leadership by sexual innuendo anywhere inside there. Potty humor? Some can make it work, with others it is unfunny, with all of us it’s a risk, calculated or otherwise. I’m not saying that had I been the Supe I’d have made the same call myself. What I’m saying is that the lieutenant put himself in a position of vulnerability by boorish behavior to a junior. He wouldn’t have said what he said to a female admiral, because he would have had to know that there would be consequences. In saying what he said to a subordinate midshipman, he tried to take advantage of his statutory position. And he also took a high risk/low return professional gamble. I qualify that as stupid. Was it criminally stupid? So you say you want to be a SEAL? – Be age 28 or younger (servicemen can be 30). – Have good or correctable eyesight. – Score well on the Armed Services Vocational Aptitude Battery tests. – Swim 500 yards using breast or sidestroke (or military underwater recovery stroke) in 12.5 minutes or less, then rest 10 minutes. – Perform at least 42 push-ups in two minutes, rest two minutes. – Perform at least 50 sit-ups in two minutes, rest two minutes. – Perform at least six pull-ups (hands face forward), rest 10 minutes. – Run 1.5 miles in boots and BDU trousers in less than 11.5 minutes. 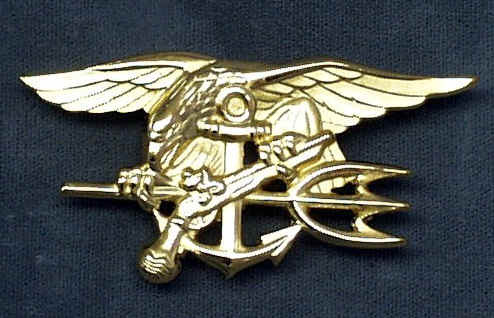 Seal class No. 259 entered Phase I training with 177 members fresh from Indoc and then added 11 more members. These 11 were recycled from previous SEAL classes — usually due to their need for time to recover from injuries sustained amid training. Of this total of 188 recruits, 121 remained in class by the start of Hell Week. When Hell Week ended May 5, only 75 members were left. Still, you get to wear that ginormous warfare pin. Other benefits include travelling to exotic, far-away climes, where you get to meet fascinating people. And kill them. Oh yes, and dental. They also get dental. Which will be a trifle less like musings and a bit more like the cribbings of a time-starved madman. I wonder if that’s true, or just one of those bulls!t things “they” say.